I had a great day last Saturday. I was warmly welcome into the Catholic Women's League as chaplain to the Clifton Branch. It's a real privilege for me to serve them and our Church in this way. The CWL across the globe has a reputation for kindness, charity and good works. They have a proud history in Clifton, one I am only just beginning to learn and fully appreciate. 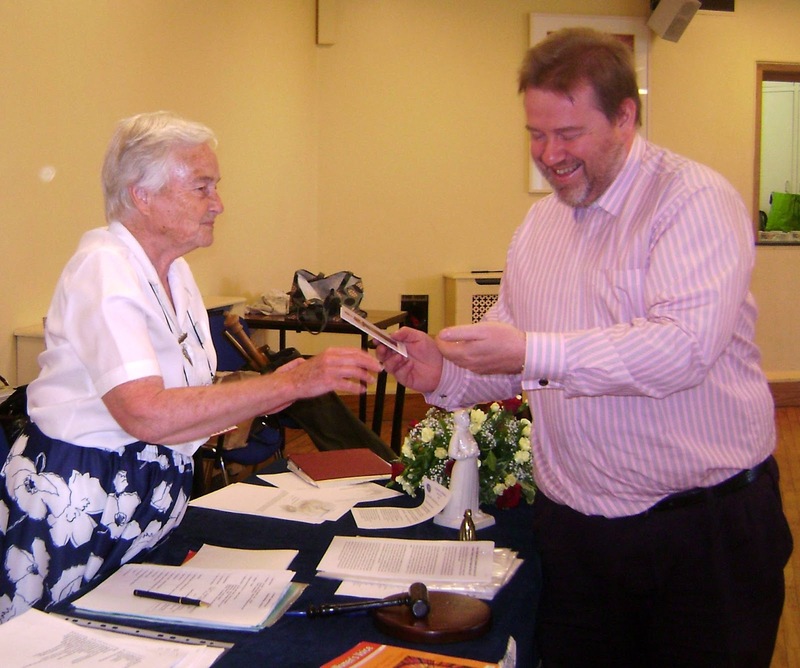 My role is to provide support and spiritual guidance to the branch particularly the new President of Clifton Branch Jean Coombs. Where I can I will be attending Branch meetings and maybe even some of the Section meeting if I can get an invite or two. Faith and good works good hand in hand for the CWL so where I can deacon a Mass or provide a service of the word for them, I will. 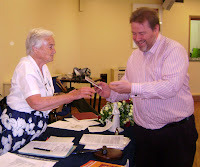 In the Photo above you can see, I hope, how proud I was to receive a CWL badge and Prayer card from Elizabeth Macnamara, the previous President, at the start of the meeting. The day was split, first the Branch meeting, then Mass celebrated with Bishop Declan, then Lunch followed by the actual AGM and a very interesting talk by Margaret Richards the National President. Jean took some good photo's and you can see them below, or Find them here. Congratulations on your appointment Deacon John!